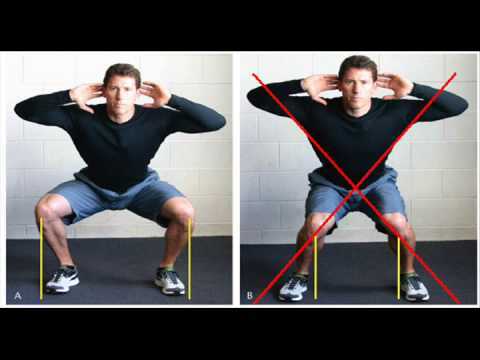 There are exercises where the correct position of hands and feet are very important for correct muscle work and to avoid injury. 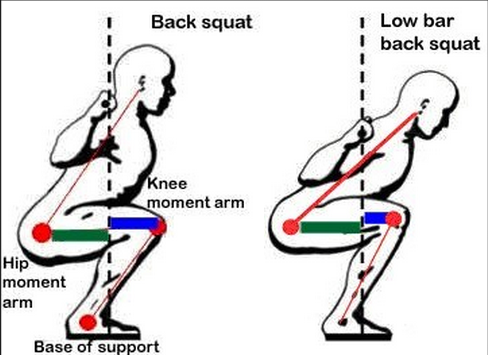 It is the case of the squats, where both the opening and the orientation of the feet on the ground is important for optimal working and not annoy the knees. 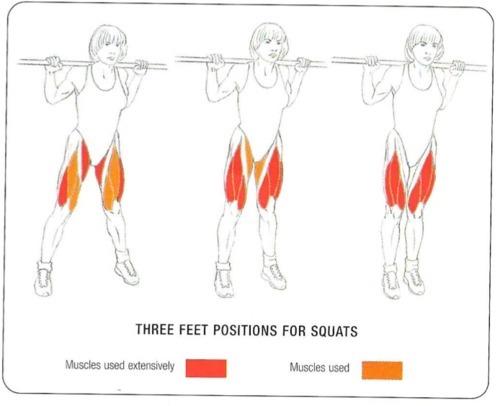 The opening of the feet in the exercise of squats should be equal to the width of the shoulders. 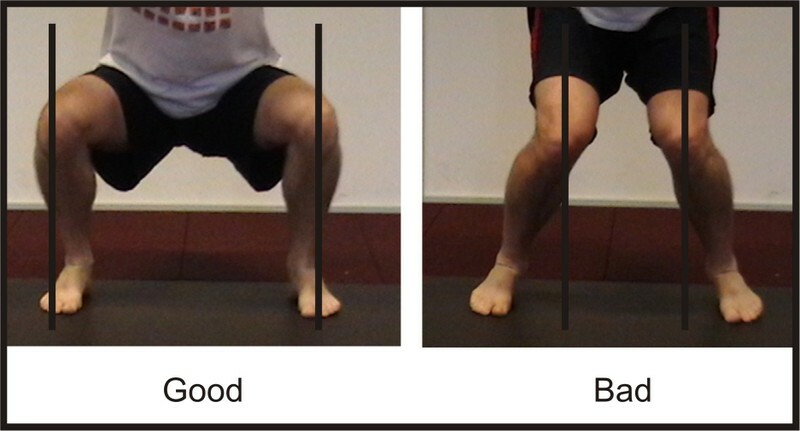 A lower opening limits us movement and removes stability to unbalance the trunk forward. 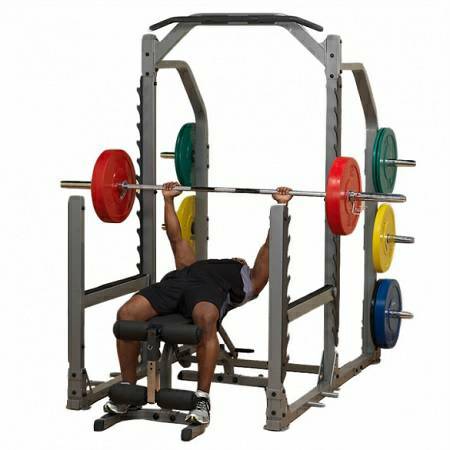 And on the other hand an excessive opening may generate too much tension in muscle insertions, especially at the level of the puvis. 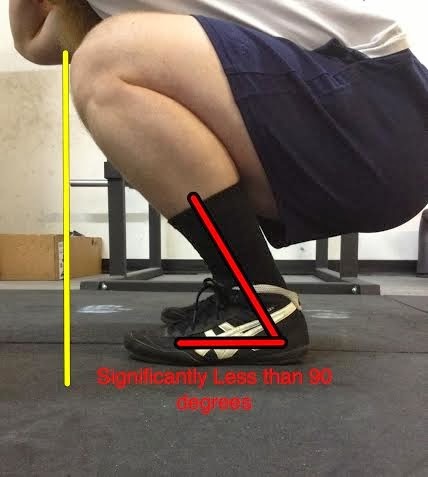 The most important point of this exercise is to make the move down, knees are kept in line with the support of the foot, that is, that the projection of the knee to the ground not away too from the tip of the shoe, since we are leaving ourselves the basis of bearing capacity and is where your knees begin to suffer excessive tension. 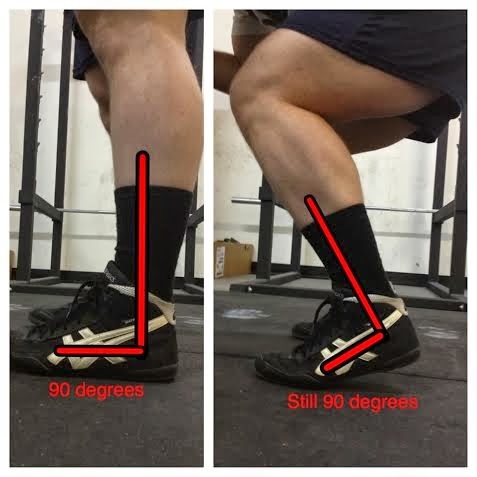 The use of a table or wedge to slightly raise the heels can improve this exercise to give the ankle more range of motion. 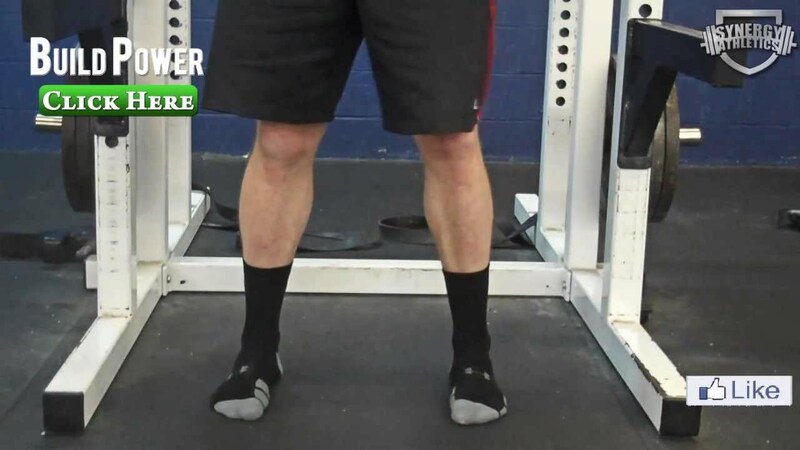 The orientation of the tips of the feet is something very personal, According to the support or tread that each person has it will be more comfortable with toes straight or oriented slightly out. 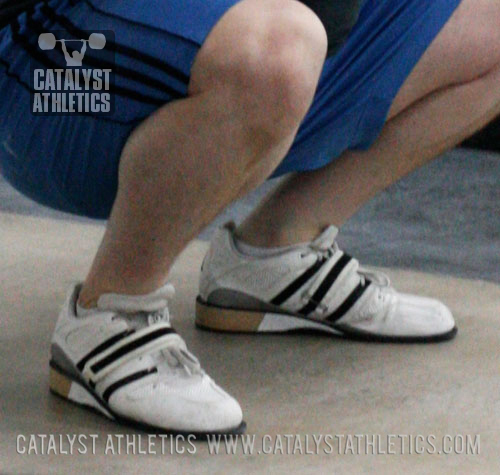 It is the case of the pronator tend to orient them towards the outside to compensate for pronation and thus not modify too much knees position down. 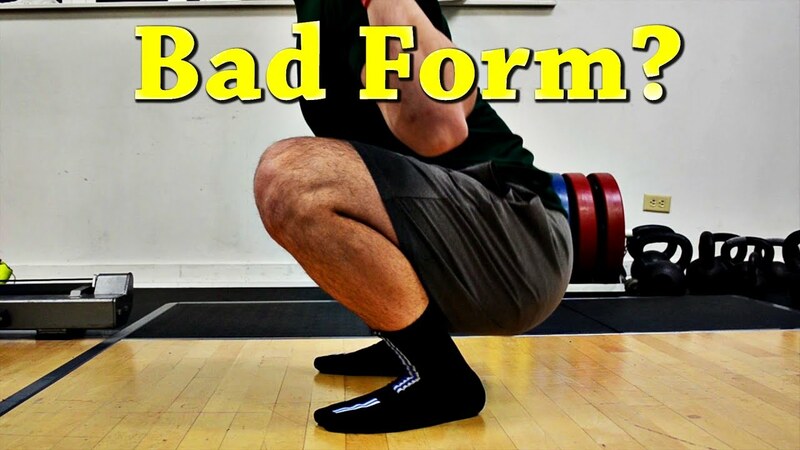 The important thing in this controversial and potentially injurious exercise (if not done well) is first of all learn the movement only with the weight of the bar, and once caught the gesture and finding ourselves comfortable with him to go slowly up the load. 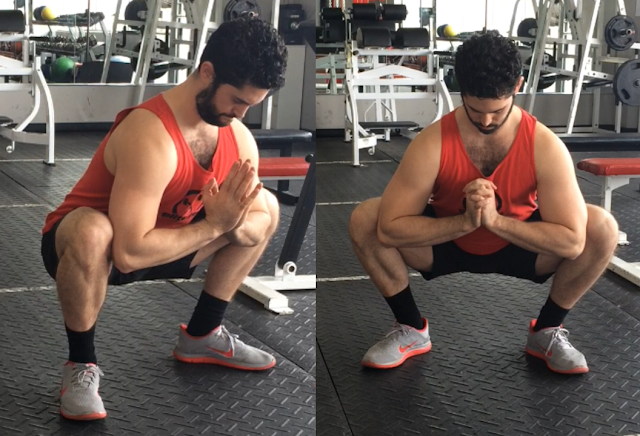 Provided that no notice discomfort when doing the exercise, this will be a symptom that we’re doing wrong and one of two: fix the gesture or change to another exercise that works the muscle group.